The Jewish festival Hanukkah, also known as the Feast of Dedication or the Festival of Lights, has just begun. * After the victory of the Maccabees (from the priestly line of Aaron) over the Syrian Greek army, the eight-day holiday celebrates the rededication of Jerusalem's holy temple in 164 B.C. In 167 B.C., the Maccabees rebelled against the Syrian king Antiochus IV, who desecrated the temple in Jerusalem with an altar to the pagan god Zeus, and tried forcibly to Hellenize the Jews. After three to four years of fighting, the Jewish zealots, led by Judah the Maccabee, miraculously experienced victory over the mighty Greek forces and defeated the evil king. They demolished the defiled old altar, built a new one, and rededicated the temple. According to the story, they could find only one vessel of sanctified oil, enough for one day of burning candles, yet it somehow lasted eight days. 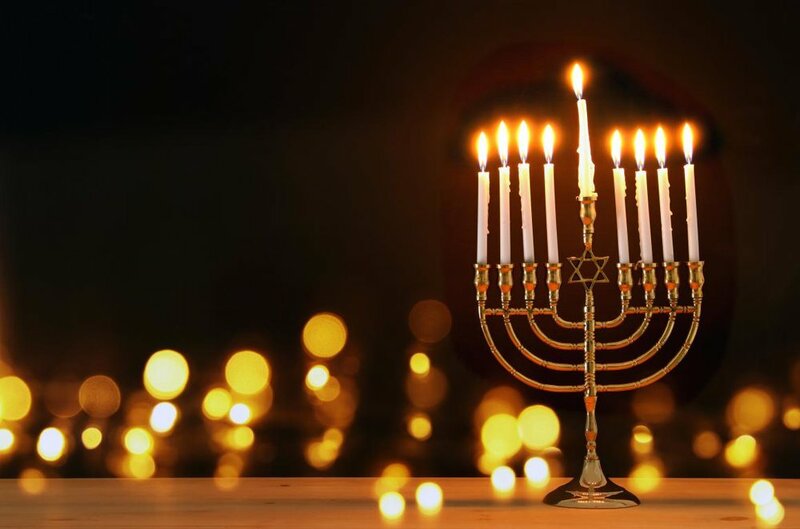 The menorah, or eight-branched candelabrum often associated with Hanukkah, commemorates those miraculous eight days of burning. The rededication of the Temple to the God of Israel is celebrated during Hanukkah, officially established by King Hezekiah (see 2 Chron. 29:17). John’s gospel also briefly mentions the holiday: "Then came the Festival of Dedication at Jerusalem. It was winter, …” (John 10:22). The menorah lighting may well be the most familiar tradition of Hanukkah. Holding nine candles, the central light of the menorah, the shamash, is used to kindle the other eight. During the holiday, the first candle of the eight-branched lamp is lit on the first day; two candles on the second day, and so on until the eighth day when all the candles would be lit. Before the menorah is lit, celebrants often sing special blessings and then traditional songs afterward. Hanukkah celebrations include much feasting as well, with many Jewish households enjoying foods fried in oil, particularly potato pancakes (latkes) and jam-filled donuts (sufganiyot).. Other Hanukkah customs include exchanging gifts and rewarding children for positive behavior and devotion to Torah study throughout the year. Hanukkah then serves as a reminder of a crucial time in history when God saved the Jewish people and their religion from being annihilated by Antiochus. The Lord remained faithful to the Jews, allowing them to defeat the powerful Greeks against all odds. Had the evil king succeeded, there would have been no Jewish woman named Mary to become the mother of Jesus Christ, the Savior of the world. Hanukkah then celebrates a God capable of doing supernatural things, both in biblical times and right now. So it’s important for Christians to understand the significance of this holiday, as it prepared the way for the birth and ministry of Jesus and reminds us of God's faithfulness and power—even in the most impossible situations. Think of it. The menorah in the Jerusalem temple — holding, bearing the light — so aptly represents Mary, the virgin who bore Jesus. 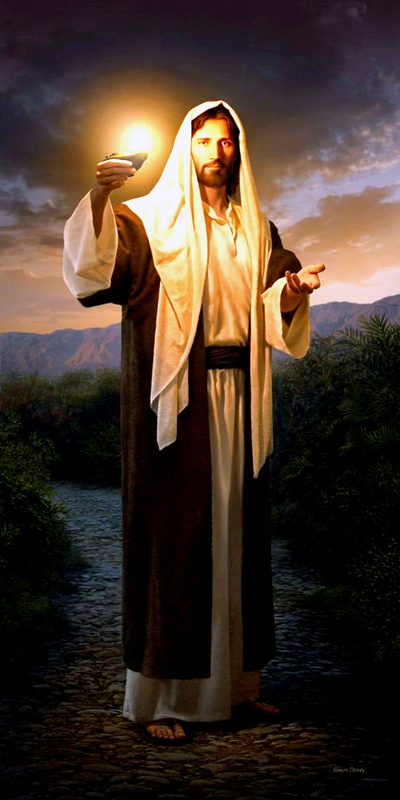 The light, then and now, stands for the Light of the world, Jesus Christ. Oil symbolizes the Holy Spirit, a recurring reference in both Old and New Testaments (i.e., 1 Sam. 16:13). The overshadowing power of the Most High God is always the miracle. “And the angel said to her in reply, ‘The Holy Spirit will come upon you, and the power of the Most High will overshadow you. Therefore the Holy One to be born will be called the Son of God.’ ” (Luke 1:35). The Jewish people celebrated Hanukkah about 160 years before the birth of Jesus Christ. Knowing how the Old Testament prefigures so much of the Truth in the New Testament, it seems an easy conclusion to see ‘Chanukah’ (a more traditional spelling) as a foretelling of the annual Christmas celebration. Interesting also that Chanukah starts on Kislev 25 and Christmas is on December 25. While we know the birth of Jesus Christ really didn’t happen in winter time, it still seems a divine God-incidence. And how about the fact that Hanukkah celebrations last eight days, the same length of time between Christmas and New Year’s. 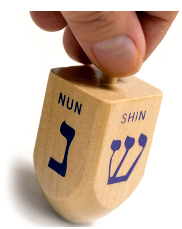 Of additional and most significant note, the Hebrew word ‘shamash’ for the central candle of the menorah—the one which lights all the others—means ‘servant’. What a bright visual symbol of Jesus, whose bringing the Light of salvation to the world we celebrate annually around the very same time! Jesus said this about himself: “I am the light of the world. Whoever follows me will not walk in darkness, but will have the light of life” (John 8:12). * This year Hanukkah began on the evening of December 2nd and ends at sunset on December 9th. Bibles for Mideast and the Assembly of Loving God (ALG) pray you have a Merry Christmas and a prosperous New Year! "May the eyes of our Lord be upon you from the beginning of the year to the very end of the year.” (Deut. 11:12) If the Holy Spirit leads you to participate with our Bible Distribution Ministry or to provide our ministers with a Christmas/New Year’s blessing, please click HERE. WE VALUE YOUR COMMENTS! Just click here or on the ‘Comment(s)’ text below. Wait a few seconds, and a barely-visible open box will appear beneath the story. Once you have typed your comment, you do not need to enter your real name or any other details, and may comment as a guest without ‘logging in’.